Thabo Sefolosha accuses NYPD after broken fibula. Thabo Sefolosha and an NYPD officer on April 8. Sefolosha, 30, is a trilingual Switzerland native whose parents are artists; he plays for the Atlanta Hawks. He and a teammate were arrested shortly after another NBA player, Chris Copeland, was stabbed outside a New York nightclub. (Copeland is recovering.) All three players were in the city for games against New York-based teams. 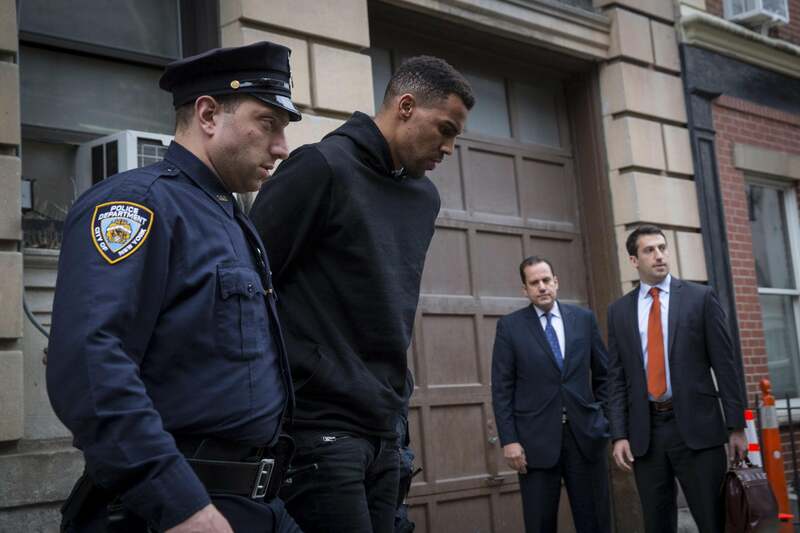 A video obtained by TMZ appears to show an NYPD officer wielding a baton near Sefolosha, though it’s not clear if Sefolosha is struck with it. The National Basketball Players Association, Sefolosha’s union, has said it is investigating the incident.